This issue is a collection of articles based upon papers presented at the international conference “Changing Perception of Russia in the United States. Changing perception of the United States in Russia. 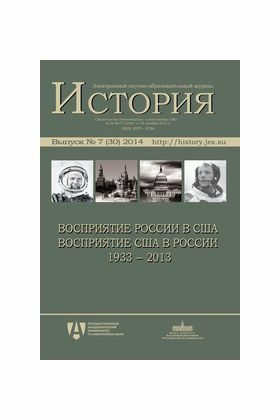 1933—2013” hosted by the Institute of World History (Russian Academy of Sciences) on November 13—14, 2013. Authors address themes connected both to the mutual academic studies of each other and to the mutual perceptions of societies of both countries.